Long Street Methodist Church and Schools are a stunning Arts & Crafts masterpiece and part of Middleton’s Golden Cluster of architecture. These beautiful buildings are a blend of rustic arts and crafts and elegant art nouveau design and a real ‘must see’ for lovers of arts and crafts buildings. Their designer, Edgar Wood, created some of the most exciting architecture of the Victorian and Edwardian eras. He pioneered art nouveau in the late 1880s, Arts & Crafts in the 1890s and art deco in the early 1900s. Following the present restoration scheme the school buildings will be developed as the Edgar Wood Heritage Centre. You are welcome to join Long Street Methodist Church in worship each Sunday at 11. 00 am with a Bible study group on Tuesdays. Wheelchair Access – Due to substantial changes in levels across the site, wheelchair access is presently limited to around 50% of the interior and not the garden. Disabled toilets are available. Access by car from outside the area is via the M60 and M62 which provide main routes from the north, south, east and west. Car parking is at the rear on Lever Street. Bus – The No. 17 bus between Manchester and Rochdale passes adjacent along Long Street (alight at Jubilee Park/Middleton Library) and Middleton Bus Station is also within walking distance. Train – The nearest railway station is Mills Hill, a mile and a half east of Middleton centre. It lies on the Caldervale Line between Manchester and Leeds. Long Street Methodist Church is part of the Manchester Methodist Circuit. It is a friendly and welcoming church with regular Sunday services, a weekday prayer meeting and regular events. The Minister is Rev. Doreen C. Hare 0161 643 8106. Edgar Wood Society is dedicated to promoting the work of Edgar Wood and his contemporaries and the accurate restoration of Long Street Methodist Church and and School. It hosts an annual programme of events, workshops and visits to places of interest. 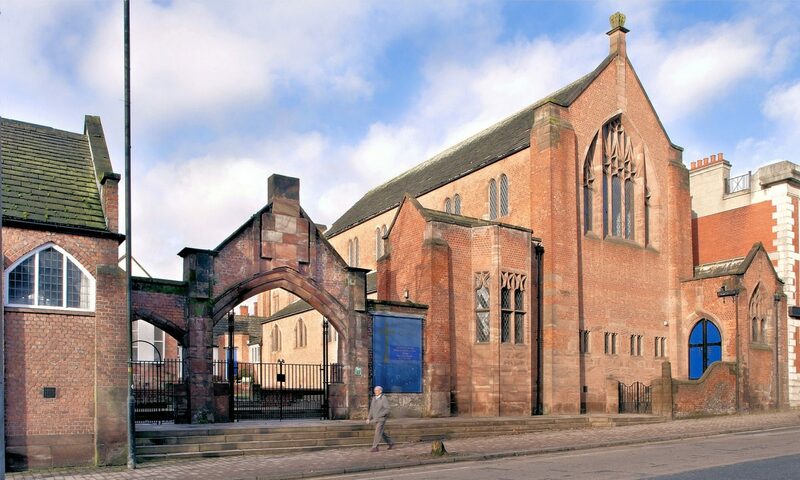 Greater Manchester Building Preservation Trust is the building preservation trust which owns the Long Street Methodist Church and School buildings and is actively seeking their repair and restoration.